Boozoo Bajou’s 2009 release Grains asserted their place in the downtempo genre. In a genre where artists compete with lounge darlings Thievery Corporation, Boozoo Bajou’s Grains orchestrated a minimally whimsical sound laced with sultry vocals. However, Boozoo Bajou’s recent release 4 strays away from their lounge niche. An almost completely instrumental album, 4 alludes haunting and enchanted sounds reserved for eerie Louisiana swamps. With Thievery Corporation releasing Saudade and Boozoo Bajou releasing 4 on the same day, it is interesting to hear the dichotomies between the two albums. While both artists continue to reinvent the sound of lounge, it is Boozoo Bajou who creates a sound distinctive to them. Unlike Thievery Corporation whose instrumentals are overpowered by an abundant amount of instruments, Boozoo Bajou’s almost absent use of instruments allows for the sound to fade effortlessly into an unearthly background. Obscure, is only one word that can be used to describe the hazy tone of 4. Peter Heider and Florian Seyberth were able to revive the art rock sound that dominated Brian Eno’s 1977 release, Before and After Science. Boozoo Bajou was able to give such an ambiguous sound a contemporary twist by stripping the sound down to its basic core without the distraction of voice. The absence of vocals creates a fabled terrain. 4 is collection of effortlessly orchestrated instrumentals whose titles insinuate a place and time far more distant than any other lounge compilation album. The album begins with the evocative “Der Kran”. “Der Kran”, which means the crane in German, is an elegant melody whose chilling effects hint at a despair in the background. It is difficult to not feel a sense of absent-mindedness when being entranced by the lush sound of the track. “Der Kran” is a track consumed by sounds reserved for secluded crevices that have yet to be discovered. “Der Kran” is followed by the standout track on the album, “Hirta”. Unlike the rest of the tracks on 4, “Hirta” showcases a repetitive and rhythmic sound that mimics the essence of tropical aura. The ethereal sound of the track is a result of the blissful interaction between the percussion instruments and the hymn of an unrecognizable instruments. “Hirta” alludes a mysterious sensuality that is not fully captured in five minutes. The closing track of 4 is English titled “Your weak Fire”. What is peculiar about “Your weak Fire” is that it strays away from the ambience of the album. While the song harmoniously compliments the eerie nature of the album, it’s instrumentals are carefully orchestrated and resemble the electronic sounds of instrumental hip-hop artist Nosaj Thing. Much like “Hirta”, “Your weak Fire” follows a curated pattern of intriguing beats that are inevitable to ignore. “Your weak Fire” will undoubtedly find its way into a Boiler Room DJ set before summer. 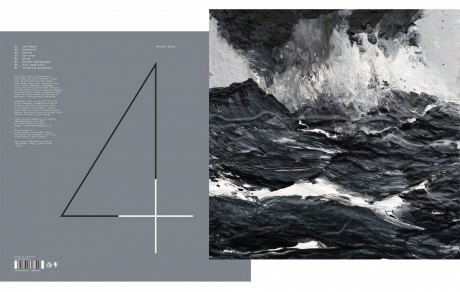 The release of 4 evokes a new era in ambient music. It’s a minimal and painless arrangement of sounds that is rare to find in a genre that is slowly being overpowered by electronica. While the sound of 4 is different from anything in the lounge genre, it does not meet the bar set by Grains. Grains proved to be Boozoo Bajou’s niche and 4 appeared to be an attempt to shy away from the Thievery Corporation inspired tunes that appeared in Grains.